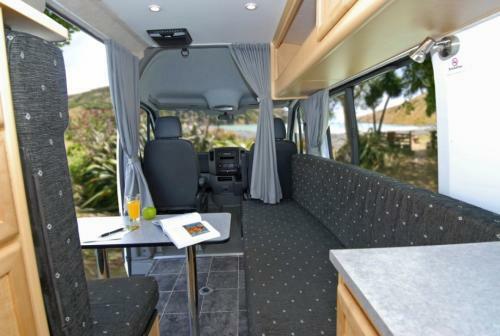 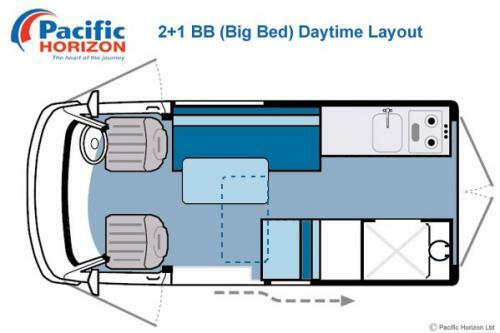 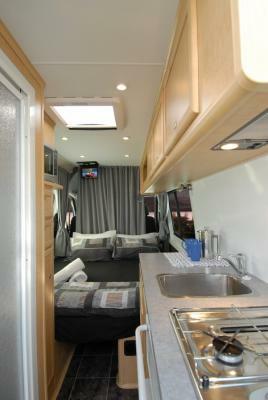 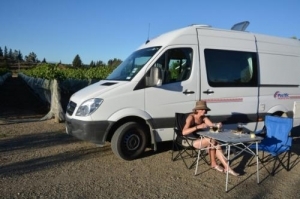 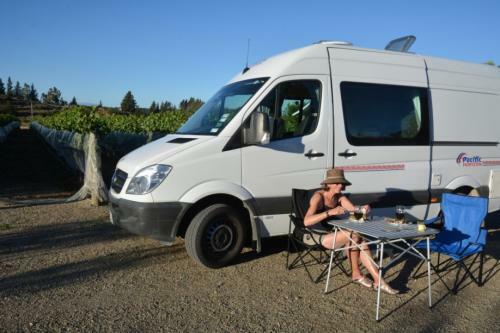 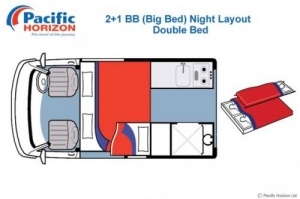 The Pacific Horizon 2+1 motorhome leads its category thanks to its style, quality and functionality. 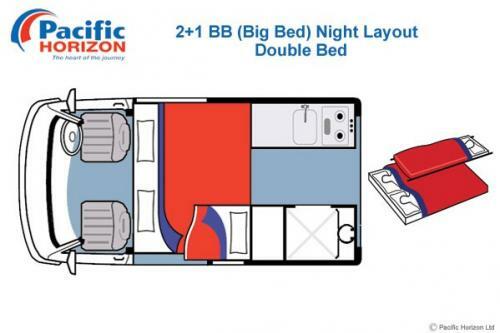 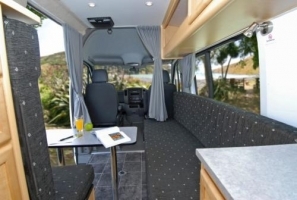 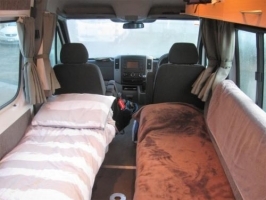 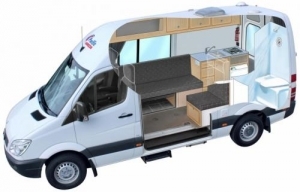 With perfectly allocated space and a fully featured interior, the larger bed size allows you the comfort and relaxation of travelling the country in luxury. 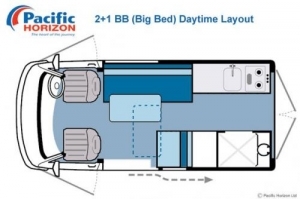 Extra bed for a chid: A hammock-style bunk bed suitable for a child fits above the big double bed, if required. 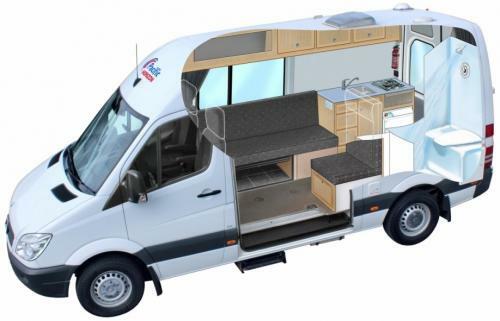 Easy access: A large sliding side door as well as rear entry door allows unrivalled accessibility, as well as making the most of the outside views when parked.